They offer you, unconditional love, so donâ€™t you think that your pets deserve the best? By shopping wisely, you can treat your pets and feel comfortable that your purchases â€” from the bed to the toys you give them â€” donâ€™t harm the environment or your furry friends. When youâ€™re looking for green pet toys and products, consider these companies, which use renewable or recycled materials in their products. Simply Fido produces its toys using recycled polyester and all natural cotton, which is grown without the use of harmful pesticides. Additionally, by using non-toxic, low-impact dyes, the dye process for their toys uses less water and produces less contamination. They offer eco-friendly plush, rope, and rubber toys for dogs, and scratching posts for cats, Simply Fido offers a wide range of pet-friendly options. Having pledged to produce sustainable and quality dog products, West Paw aims to use the most sustainable practices available. From the very start of the manufacturing process â€” including sourcing the most eco-friendly materials â€” to reusing materials from returned toys, West Paw takes care to make natural products. With products for dogs and cats, Olive aims for planetary protection as well as quality and safety for your pets. The company lightens the environmental impact of shipping its products by using recycled boxes and biodegradable packing peanuts. Olive products are made from environmentally friendly materials and are adorable. Olive also works with partners and vendors that share the same goals of quality combined with planetary stewardship! 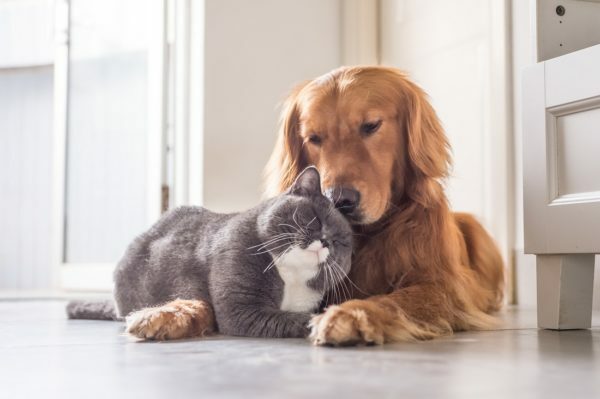 Honest Pet Productsâ€™ â€œNever-Ever Guaranteeâ€� is a pledge that none of their products contain hazardous materials, including pesticides, glues, and plastic-based fillers or PVC. Their products are made sustainably. The company offers two additional services. First, during its Toxic Toy Buy-Back (offered four times a year), Honest Pet Products offers store credit if you trade in toxic pet toys to be disposed of and replaced with clean, eco-friendly ones. Second, part of every purchase is used to support animal shelters. While not a specific brand, Funny Fur is an online store that offers an extensive selection of environmentally friendly pet toys and products. Itâ€™s a great spot to take in all of your environmentally friendly pet options. Â©2018 Merlinio Technologies LLC. All rights reserved. MagicQuote is a registered trademark. Merlinio Insurance Agency, LLC is a Virginia domiciled insurance agency licensed in 51 US jurisdictions (VA License #140401). Other state license information can be found at MagicQuote.com/licenses.